Skeins follows a group of Indian woman as they travel through Europe learning something about life, each other, and themselves. What served as your inspiration for this uplifting novel? Both my novels relate to a world well-known to me: urban educated India. I have been travelling a great deal for the past 14 years and I undertake at least one group tour overseas each year. Though the itinerary for the tour described in Skeins is similar to that of a group tour I undertook with Cosmos© in 2015, the similarity ends there as the tourists in the latter included men and women of varied nationalities. Also, when I had traveled to Ireland in 2016, my suitcase had not been transferred in time to the connecting flight by the airline staff at Munich airport during transit. These experiences sparked off my imagination, which led to the birth of Skeins. There is a great collection of women from several generations in this group. Who was your favorite character to write for? It’s like asking someone who is your favourite child. Each woman character is alive in my imagination with her own distinct personality, dreams and circumstances. They are all resilient as I don’t sympathize with whiners. I like women who get back on their feet after a hard tumble and find their own path in life without seeking sympathy or support. However, I particularly empathized with the characters Sandra D’Souza and Vidya Rao who are caught in a conundrum and need to make tough decisions. I enjoyed how the characters each had their own story that contributed to the depth of their character. What were some themes you wanted to capture in this book? Though the novel is a breezy read, it deals with serious societal issues related to women. I feel very strongly about the thwarting of women’s emotional, professional and intellectual independence and expression by a patriarchal society and a dominant partner who limit her role to that of a mother and a comfort provider. The novel also depicts the generic issues of social hierarchy, aspirational lifestyles, the violence within and without our homes, loneliness and dementia. I have a few ideas that I am exploring. When that creative spark is ignited, I know I will not take longer than two months to pen the story and edit it. What happens when the skeins of life of 16 diverse Indian women, aged 25 to 67, get entwined when they travel to Spain and Portugal in an all-women’s tour? 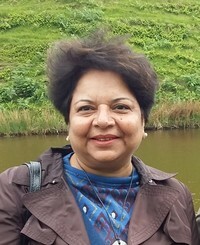 With a galaxy of identifiable characters from modern urban India depicted with light-hearted mirth in a travel environment, the novel explores serious issues, such as the quest for an independent identity and economic independence, the violence within and outside our homes, the loneliness of old age and the need for constructive channelization of youthful energy. 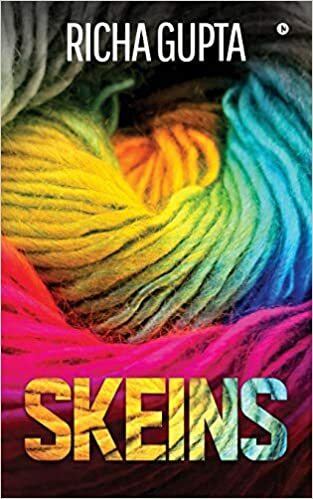 Spanning events across a little more than a year, Skeins depicts how self-expression and a supportive environment trigger a cataclysmic effect and stimulate the women to realize their dreams. Posted on December 9, 2018, in Interviews and tagged alibris, author, author life, authors, barnes and noble, book, book club, book geek, book lover, bookaholic, bookbaby, bookblogger, bookbub, bookhaul, bookhub, bookish, bookreads, books of instagram, booksbooksbooks, bookshelf, bookstagram, bookstagramer, bookwitty, bookworks, bookworm, cosmos, dream, ebook, family, fantasy, fiction, goodreads, ilovebooks, independence, india, indian, indiebooks, ireland, kindle, kobo, life, literature, nook, novel, portugal, publishing, quest, read, reader, reading, richa gupta, shelfari, Skeins, smashwords, spain, story, travel, woman, women, writer, writer community, writing. Bookmark the permalink. Leave a comment.